Does Having Lumbar Back Pain Mean That I Need Surgery? Some people live with lumbar back pain for years, worried that a visit to a specialist will ultimately lead to surgery. But as a spine surgeon, I have some good news … Most of the time, surgery isn’t needed, and there are a number of alternative treatments we can explore to help that patient feel better. That being said, there are also times when surgery is truly the best option. Here are some things I consider when trying to create the best plan for my patients. Can we identify the source of the lumbar back pain? About 90 percent of Americans will experience back pain at some point during their lives, but sometimes it can be difficult to determine what’s causing it. Is it a muscular injury caused by a particular activity? Or is it something structural within the spine, such as a herniated disc or bone spurs pressing on the nerves? Once we pinpoint the source of pain, we can make some decisions regarding treatment options. What treatments have already been tried? We know most patients want to avoid surgery, so we’ll usually try a number of these nonoperative treatment options first. Doing this in a measured, graduated fashion, we can often find a pain management plan that works. Are there symptoms other than lumbar back pain? If a patient’s issue is true, isolated back pain with no other symptoms, surgery is almost never needed. When other symptoms appear, that’s when we may start to consider surgery. Sometimes this is in the form of pain radiating down into the leg. Other times, neurological deficits can appear, such as numbness or weakness in part of the body or loss of bladder or bowel control. If you are experiencing neurological deficit you should see a specialist immediately to get evaluated. When there is significant compression of the nerves or spinal cord, we know that the longer we wait, the greater the chance of developing permanent nerve damage, so surgery may be needed to alleviate it. Would surgery result in a better outcome or quicker recovery for the patient? If a patient is in a lot of pain and nothing seems to be helping, and imaging studies show us there’s a structural issue in the spine that can be repaired, that’s another time we might suggest surgery. We don’t want to make a patient continue to suffer in pain if we know there is something we can fix to get them on the road to recovery. How aggressive does the patient want to be with the treatment plan? I always like to present my patients with the whole range of options and then tailor the treatment to them. For example, an 85-year-old woman with lumbar back pain may choose to be very minimalist because she wants to avoid surgery at all costs. In her case, we might start her on anti-inflammatories and get her into physical therapy. Four weeks later, if she’s still having some pain, then we might try an epidural, and so on. Compare that to a 25-year-old athlete with ongoing lower back pain, who is currently in his off-season. If he has a known structural problem in his spine, rather than go through months of nonsurgical treatments, he may prefer to have surgery and hopefully return to play faster. I think it’s important to know that a good spine surgeon will work in collaboration with you when making your treatment plan. Every effort should be made to not only help you feel better, but to do so in a way that’s right for you. 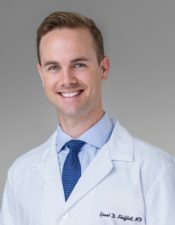 Grant D. Shifflett, MD Dr. Grant D. Shifflett is a fellowship-trained orthopedic spine surgeon. Handpicked by Dr. Robert S. Bray Jr. to join DISC Sports & Spine Center, Dr. Shifflett specializes in the application of minimally invasive and microsurgical techniques to the entire spectrum of cervical, thoracic and lumbar spinal conditions, from the simple to the most complex. Whether treating a patient with chronic pain or an acute injury, his ultimate goal is to restore function and quality of life with minimal tissue disruption. Read more articles by Grant D. Shifflett, MD.